Weeks after elections in Nigeria, violence and attacks continue to drive population movements within and outside the country, the Office of the United Nations High Commissioner of Refugees (UNHCR) warned today, reporting a “steady flow” of Nigerian refugees now seeking safety some 100 kilometres inside the Cameroon border. On average, some 100 people daily are registering at UNHCR’s Minawao camp in Cameroon – opened in July 2013 – causing a population surge from about 30,000 late last year to approximately 44,000 today. “In Cameroon’s remote Far North Region, a steady flow of Nigerian refugees are moving from the volatile Nigeria-Cameroon border area and seeking shelter some 100 kilometres inland at the Minawao camp,” said Leo Dobbs, spokesperson for the UN refugee agency, at a pressing briefing in Geneva. The arrivals at the camp are mainly Nigerian nationals who have previously fled to Cameroon to escape violence in north-east Nigeria, but stayed near the border – hoping for a quick return home. The refugees said they had fled militant attacks in Nigeria’s Borno state. 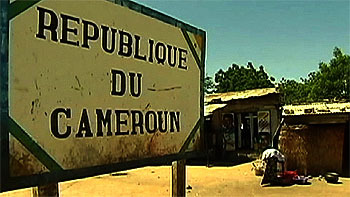 In recent weeks, there have been attacks and clashes on Cameroon territory, including a suicide bombing on 12 July, the first such attack in the country, on the far-northern town of Fotokol. As part of its response to this unrest, the Government of Cameroon has begun registering Nigerian refugees in the immediate border area. UNHCR field staff reported that the registration process provoked fear among some refugees that they might be returned to Nigeria against their will. Some arrivals said they ran out of food while taking refuge in the border area and hoped for food distributions at the Minawao camp. Many of the newcomers were being temporarily sheltered in a tarpaulin-construction school area currently closed for summer break. Although the school is due to reopen in September, a wood shortage will prevent the construction of community or family shelters for them. “UNHCR has limited access in the Far North Region for security reasons, but estimates the number of unregistered refugees in the area to be some 12,000. The Cameroonian authorities say this number may be as high as 17,000” said Mr. Dobbs. In a separate development in southern Niger’s Diffa region, over the past few days, authorities reported the arrival of some 2,500 Nigerians – mainly women, children and older people. Following a militant attack early last week on the Nigerian town of Damassak, people arrived in the border villages of Chetimari and Gagamari, located 20 kilometres from the town. Niger authorities report that they continue to arrive – with 80 per cent Nigerian refugees and the remaining 20 per cent Niger returnees. “Some of the new arrivals fled their homes last year after a first attack on Damassak and returned only recently. Some refugees are staying with the same host families they stayed with last year while others sleep in the open or in makeshift shelters,” Mr. Dobbs elaborated. Most new arrivals said they preferred staying in Chetimari and Gagamari rather than the Sayam Forage refugee camp, further inland, hoping to return to Nigeria as soon as possible. Locals have been sharing their meagre resources with them, including water and food. UNHCR teams are unable to access the border area for security reasons.